The NYS Gaming Commission reports that Marked Bills, being prepped for his first race, “suffered a cardiovascular collapse” on the Belmont training track yesterday morning. “Cardiovascular collapse” – at two years of age. This is horseracing. “Cardiovascular collapse” has a cause and what could cause such an event in a 2 yr. old ? Some causes come to mind such as anaphylaxis caused by drug reaction, cardiac arrhythmia or a major artery rupture…. There will be no necropsy or any blood tests because deaths of horses do not matter in racing. In my opinion, as a person who has been in this industry off and on since the 60’s? There is no doubt in my mind that Lasix is the main contributor to the physical downfall of the American racehorse. Since Lasix has been introduced, the racehorse is not the same. In fact, I really think that Lasix has now bred lameness into the racehorse directly due to the complete altering of the racehorses main systems, and organs. I’m not a vet, but I lived with racehorses. They were my life. Lasix is the ruination of the racehorse. No doubt in my mind. Old time jockeys, that I still talk to agree with me. They said they noticed a complete change in the breathing patterns of racehorses because they could compare since they rode before Lasix was used on racehorses. They noticed huge negative changes to the racehorse after Lasix was introduced. But this is extreme animal cruelty as phrased – intentional neglect, reckless endanegerrment, withholding food and water. HOW BLATANT DOES IT HAVE TO BE? And “horse racing”, as we horse lovers well know, is another word for “death sentence”. Rest in peace, all you innocent souls. Agreed with all comments here. Reade Baker, a top Woodbine Trainer with tons of horses doesn’t feed hay to his horses while they are at the track. The horses pace the stall all day long looking for anything to munch on. I know of 2 horses that were claimed from him in 2005. Both horses were sick, not only physically, but mentally from being deprived of hay. The person who claimed these horses had their stomach immediately scoped. Inside the stomach was such things as paint, pieces of board, and huge chunks of floor mat – all a result of the horses looking for something to munch on. Can you imagine a horse in heavy training (their caloric requirements are high), with stress (many have stomach ulcers) being deprived of hay? He hired one exercise rider from Europe, and she approached me in the track kitchen. This was back in 2005. I often got the whistleblowers come to me because I had the reputation for speaking out. She had been an exercise rider in Baker’s barn at Woodbine, and she sobbed uncontrollably as she relayed to me how bad the horses were suffering under his care. She said one day a top stake horse was left on the walker outside his barn, and that Baker and the staff left for the day, and forgot to take the horse off the walker so he was walking for hours on a hot summer day. He actually dropped from exhaustion, the walker still running, and it was one of the security guards that had him removed. She also said she had never seen so many horses experiencing colic in her entire life, and she attributed it to their deprivation of hay. I would too. Any good horseperson would. Hay is the main staple of any horse diet. Evidently his vet justifies the deprivation of hay by writing letters claiming that his horses are allergic to hay. Outrageous. Anyways, She said that she freaked out on Baker’s head, calling him an abuser, and was fired. Of course her papers were quickly revoked, and she was escorted off the grounds shortly after speaking with me. No need to wonder why they never gave me and many outspoken Trainers stalls at Woodbine. So what does that tell you? They hide things. They only want the Trainers there that uphold the organized system where silence is golden. It’s a very organized monopoly with the horses paying every step of the way. Not to mention a compromised wagering product. Baker, and many Trainers at Woodbine are known for hiring out-of-country stable help. Many reasons for this, but they sure keep their mouths shut when a work Visa is hanging over their head. The HBPA is instrumental in supporting, and facilitating the processing of paperwork for out-of-country help. Despite the numerous complaints, some via the integrity hotline, into the Ontario Racing Commission regarding this incident, and former workers complaining that the horses are being deprived of hay – the ORC does NOTHING about it. At least not that I’m aware of. I’m told it hasn’t changed. Woodbine sure doesn’t do anything as they give him Baker one of the biggest stall allocations at Woodbine. In fact, they built about four million dollar state-of-the-art barns at Woodbine, and Reade Baker was one of the first Trainers to get an entire barn allocated to his racing stock. So he doesn’t share like most Trainers. While small outfits beg for stalls at Woodbine Trainers like him get entire barns. I guess What goes on in that barn stays in that barn. I, for one, would like to see the private vet servicing Baker’s racing stable have his license reviewed and/or revoked for overseeing this abuse and not doing anything about it. Even going so far as to justify it. Depriving a horse of hay especially while it’s stalled 23 hours per day is blatant animal cruelty, but some think it’s royal care. What did these horses eat? Protein builds muscles. He knew what the horses need. Any horseperson does. What could he have replaced hay with. Every fine horse, racer or competitor, always has fine stemmed timothy to much on all day. As a matter of fact, it was a moiacle to ever find timothy availAvle for us normal horseowners because most went direct to the racetracks. How can any racetrack condone the absence of the full hay net. Our world has turned on its head. Exactly Jan. They were fed a textured diet which is a grain replacement according to the source. One thing I saw one day which was heartbreaking. One of his horses, after it finished running on the turf, forced it head down to munch on the grass it was so deprived of hay. The jockey attempted to yank its head up, but the horse refused. He continued munching on the grass. When Reade Baker saw this he had his groom run over to grab control of the horse, and stop it from eating the grass. I saw this. I swear I did whether you believe me or not. How disgusting this business is. Can someone repost the death count after the last two years of summer meets at DEL MAR . I live in San Diego and I am shocked that people still kept going after all the deaths. San Diego with locals and tourists in the dark about the abuse! Money and greed are always paramount to attentive protection and care of animals. Shame on the whole money machine of the racing industry that exploits and abuses animals we are obligated to protect ! Del Mar is very rich, and very powerful. Like you mention, it supports a lot of business in the area so people tend to keep silent or play down the truth about the death trap that Del Mar is. It’s a combination of ocean tides affecting the surface it seems, shock wave therapy is a big contribution to horse breakdowns and regularly used at Del Mar, drugs, and stress. It also writes, and runs lots of 2 year old races. There is a plethora of scientific evidence, by reputable equine vets, that confirm that running horses this young is a recipe for breakdowns since their muscoskeletal structure is not fully developed. Another thing, there are about 3 Owner/Trainers there that dominate, and allegedly control the outcome of races there. It’s a very closed circuit. The racehorses pay the price. As long as there are ignorant people wagering on the horses there will always be a meet there. If people stopped going, stopped wagering, stopped supporting the exploitation then it would eventually stop. Del Mar has a very well paid group of public relations people who pay detailed attention to all media,and what they say about the track. They also have a bevy of Attorneys who are ready and willing to pounce on anybody who damages the Del Mar image. It’s a very carefully controlled, and protected business image. I know of a small group of horse lovers that have started peacefully demonstrating there on the first couple of days of the meet. They hand out leaflets and try to educate the public. I don’t know if they still do, but they did say that they are very hassled by the police when demonstrating, but as long as they are peaceful, don’t disrupt pedestrians from entering or exiting, they are within their legal right to do this. I don’t understand why race horses would be neglected. Don’t their owners want them to win? How could their horses win a race if they are neglected? Someone explain this to me please. Deborah…I want to answer your question!…and I will! But I must wait until I have access to the computer (which will be Sunday evening! )…pecking away – one letter at a time – on my phone is just too time consuming! Joy, I attempted to answer it, but I know you will have a great answer. I think the key word is “neglect” because I interpret the entire industry as neglecting the natural needs of the racehorse. Any attempt at making a horse comfortable seems to be completely profit motivated. I don’t think I answered the question, but I did try to educate. Not sure what exact neglect your referring to, but many of the wins at tracks are due to the ongoing, relentless application of drugs. Drugs are often used to cover-up chronic issues, and to keep the horse running. Many owners are aware of the drugs, and many fight changes to the system. They are quite content with whatever works to win, and pick up checks. Obviously, you haven’t seen the recent undercover videos of how many horse racing stables are run. I invite you to watch this video which should answer your question. If it doesn’t there are plenty more videos of ex-Trainers, and horse racing personnel who speak out about the neglect of racehorses in the industry. The collaboration of the videos, and multiple news articles, facts via statistics are indisputable. It’s all concrete evidence that the racehorse is exploited for profit. However that profit is obtained seems to be fair game. The industry claims to take care of their horses. You need to examine that more closely. To people in horse racing taking royal care of their horses means feeding them good oats, hay, shelter, and wrapping their sore legs. Let me make something clear: this regime is basic horsemanship 101. Anybody who owns a horse gives this basic care. The industry doesn’t do anything special to a horse other than keep it medicated to mask its soreness, lameness. so it can keep running. I think I understand what you’re asking and if I’ve got it right, it’s a good question – why wouldn’t an owner take good care of an animal that makes them money? Wouldn’t a healthy animal perform better? Thereby winning more money for the owner? Makes perfect sense because it’s true! But there are features of the racing industry that have a bearing on that truth…there are so many factors it would take a book to include them all, but I’ll try to address at least those with significant influence. “Healthy” means different things to different people. As an example, I’ll use my own neighbors. My neighbors’ horses are neglected. Underfed. Get poor quality hay. Endure cramped living conditions. Are never de-wormed. Never get their teeth floated. Are not vaccinated. Their one mare was so thin it was unlikely she could have lived through the winter (http://www.savingbaby.org/sweet-lady-jade.html). Yet they think their horses are fine. Even in comparison to mine (bordering on too fat – no, I’ll be completely honest and admit one IS too fat), how they care for their horses is “normal” to them…it was how they were brought up…they had been conditioned. And now their adult children treat their animals the same way. Think about hoarders – they think they’re normal. Puppy mill owners – normal. Particular religious groups who use their horses as mere machines to be used and dumped when no longer useful – normal. Deborah, the same is true in the racing industry. You see, the majority of racehorses are what the industry calls “cheap claimers” – low-level horses running at low-level tracks. They are the backbone of this industry. They are in the great majority and so are their owners/trainers. These great numbers of low-level owners have grown up in this business – they know nothing else and they haven’t “fallen far from the tree”. Barely getting by. Giving their horses the minimum because there’s only just enough to buy groceries, pay rent, and feed their stable. Conditioned. Normal. Will these racehorses that teeter on the edge of being criminally neglected still give their owners a paycheck? – absolutely they will. There are cheap claiming races with inflated purses and horses finishing even last can get a check. An example for you, the colt You Got the Silver (http://horseracingwrongs.com/2015/12/26/the-abuse-of-you-got-the-silver/); his 7th and 8th place finishes were good enough for $90…run him 3 times in a month and that gives his owner/trainer $270. Now feed him even a normal ration of hay (half bale/day) and over a month, his hay (at $8/bale) cost only $120. Skimp on that hay or buy poor quality hay and that money goes a little farther. Then, even horses like You Got the Silver will sometimes win – and not because their trainer did such a bang-up job of training (that’s a topic for another time!). Cabriolass won a race with an existing broken knee – (http://horseracingwrongs.com/2014/02/04/shedrow-secrets-cabriolass/). A racing owner/trainer known for running thin and injured horses bragged to me on a hidden camera investigative piece (aired on a Detroit television station in 2007) that he “ran injured horses all the time”. He also didn’t feed adequately. A horse of his we (Saving Baby Equine Charity) acquired was so emaciated that he fell out of the trailer upon delivery to the retirement farm…the vet was called and he didn’t believe the horse would even live. This horse – One Hundred Laughs – was on the brink of death yet had raced just 4 weeks prior…getting a $45 check (http://www.savingbaby.org/one-hundred-laughs.html). Gina mentioned the drugs that horses race on and she’s absolutely correct. That is a topic in and of itself but suffice it to say, the drugging of injured racehorses is an enormous problem. One particular use of drugs that isn’t always mentioned is the corticosteroid injections into damaged joints. By decreasing inflammation, it manages painful joints and therefore allows the injured horse to race more times than he should be. Not only does running on an injury exacerbate it, repeated steroid injections cause cartilage breakdown. Some of the radiographs of the racehorses that came into our CANTER-MI program had joints that looked like “Swiss cheese”. When a racehorse is at these low levels, their monetary worth equals what a kill buyer would pay for them. So why not run them?…what does the owner have to lose? Not a damn thing. It’s a gamble worth taking – for the owner, that is. The horse pays with his life the owner rids his stable of a broken-down “rat” he no longer has to feed. One last thought…the claiming races are a necessity for the racing industry – 1), employment for the countless low-level owners/trainers/exercise riders/jockeys/agents/grooms, etc. and 2), there needs to be a dumping ground for the “elite”. Stakes-winning racehorses become cheap claimers unless they’re “lucky” enough to be desired for the breeding shed. I’ve said this before yet I’ll say it again – horses bred to be sold into this industry are set up for bad endings. Their value is conditional and it only decreases over time. Take away an animal’s worth and he’s ripe for neglect. Especially when the “value” is based solely on monetary value as opposed to love. You can’t place a dollar amount on love. With the increased costs of keeping a racehorse in training they are set-up for disaster, and it’s getting worse every year. The basic cost of keeping a racehorse in training depends on many variables so this is just a rough estimate: it costs about $60 per day WITHOUT vet costs which adds exponentially to the monthly cost. There are so many other factors to consider, but I’m just using a very rough estimate based on an Owner/Trainer who trains the horses they own. In other words, the small time owner/trainer. So $60 x 30 days = $1800 per month. As a racehorse slips into the claiming ranks the need for increased vet services such as joint injections, to keep them going, goes up exponentially. The vet bill could range from $200 to whatever. So let’s just use the $200 figure. You are now up to $2000 per month for 1 horse. That’s $24,000 per year. Now that doesn’t include (if your an Owner/Trainer) which usually is the case in lower claiming races, your time spent at the barn which usually doesn’t allow any additional time for another job to support this very expensive hobby which most in the lower claiming ranks can’t afford. That doesn’t include your transportation costs to and from the track, your rent, your food, other basic necessities to survive. So based on recent economic statistics from the U.S. federal government it costs one person (on the very low end of the scale) a minimum of $20,000 per year to survive – for the basics. So when you add in supporting a racehorse you must make a minimum of $44,000 per year just to survive. We all know that the majority of Owner/Trainers don’t make $44,000 per year. In fact, most Americans don’t make that yearly salary that’s without a racehorse! So the fact that 90% of the industry is based on this financial model, not only is the racehorse set-up for disaster, but so is the majority of small outfits. This image of “sport of kings,” is just an image that 10% of racehorse owners in the country fall into this category. They have the money to play in this very expensive hobby. Most all have another source of income or are independently wealthy. Losing $100,000 to them is a drop in the bucket. They just go out and spend another $100,000 for a Derby prospect. Joy you couldn’t have said it better claiming is a dumping ground for the elite. So for the other 90% in the industry the claiming ranks are seen as an opportunity to get their hands on a regally bred racehorse that doesn’t meet the Owners goals of being an elite racehorse. Now in the past (60’s 70’s) the system actually worked much better than today. That is, many small time owner/trainers did make a living off of these horses that were dumped. Not anymore. Very few. The reason being is that by the time the “elite” Owners dump their horses now their respective Trainers have tapped into every joint (god knows how many times since there is no system of record keeping), they have literally burned out the horse by the time they decide there’s not much left to it, they can’t squeeze the lemon out anymore. Those lemons end up in the claiming ranks with small time owners looking to get just one more squeeze out of that lemon, and have this delusion that they will make a living off of this misery. 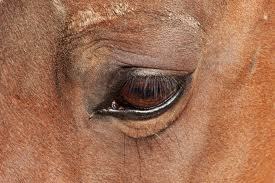 The racehorses that are the most vulnerable are the ones with BACKCLASS. Factual statistics prove that only 10% of racehorses make money the other 90% end up running for their lives in claiming. The amount of foals bred varies form year to year according to Jockey Club Statistics. In one year 30,000 were bred. So let’s do the math. Out of that foal crop 28,000 ending up in the claiming ranks. This is just a rough estimate because many racehorses don’t even make it to the track or die before they race due to various reasons. So that’s lots of horses carrying the system on their bones, and backs – literally. As we have seen here, time and time again, these horses are paying with their lives. The “elite” owners who dump wash their hands of it. A nice tidy way to keep the image intact. Not only do the racehorses fall, but many people fall from grace as well. He’s right, and they are leaving by the droves, being forced out by the financial inability to make a living. Could it soon be that the elite owners will no longer have stupid people financially supporting their horses that are no longer profitable? A well-financed pro-horse racing coalition spearheaded by Frank Stronach and partners is planning on building a racetrack in Georgia that will run year round!!!!!! They are playing the job card to Georgia residents saying that it will create 5000 jobs. It looks like there will be a vote on it. How, when, and who will handle the vote, and the results remains to be seen. The devil is in the details that have not been released to the public. This is the same organization that attempted to build a colossal racetrack in Northern California. Thanks to the intelligent well-informed residents there they fought hard to get it cancelled. It got cancelled thank goodness. So now they are going to other vulnerable states, and Georgia is one of them. They always pick states that are Republican dominated, and/or have no native American rights or tribes that can overtake them. At least it seems that way. Please somebody educate the residents of Georgia to get this project cancelled. If this goes through it will mean increased over breeding, breakdowns, dying, unwanted horses, increased activity at the slaughterhouse, environmental negative impact to the planet not only the track, but everything else that goes along with supporting this horrific exploitation. PETA needs to be immediately informed. We need to gather together, contact pro-animal rights and advocate groups to educate Georgia residents, to ensure that this doesn’t go through!